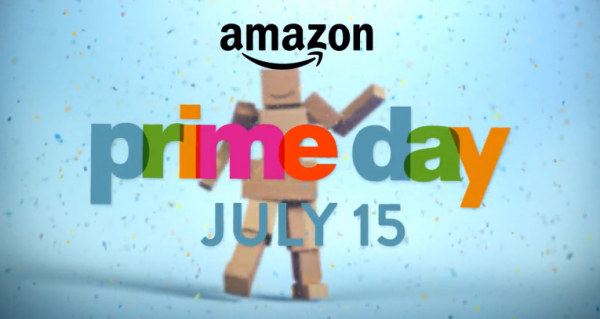 On July 15, Amazon’s Prime Day, an ostensible celebration of the online retailer’s 20th birthday, will offer members “more deals than Black Friday,” including seven Deals of the Day, thousands of lightning offers, and flash sales every 10 minutes. While only Prime members can take advantage of these savings, non-members will be encouraged to join Prime so they can get in on the deals. As is the case the rest of the year, they’ll also receive a free 30-day Prime trial when signing up. Amazon hopes to answer the question, is Amazon Prime worth it? Some observers are equating Prime Day with “Christmas in July,” and Amazon surely hopes to create an annual event, akin to Alibaba’s Singles’ Day in China, which offers deep, sitewide discounts every year on November 11. (Alibaba reported $9.3 billion in 2014 Singles’ Day sales, spurred by more than $2 billion in the first hour.) Trying to turn a company birthday into a brand-new shopping holiday is an innovative tactic; if it succeeds, Prime Day could have a lasting impact on the summer shopping season. Amazon has already had tremendous success on one front, generating a massive amount of free publicity for Amazon and Amazon Prime across a wide range of platforms, outlets, and audiences across the country. No matter where you spend your time — TV; radio; newspapers; podcasts; fashion, technology, business, and entertainment websites; shopping portals; or social media — you’ve probably been exposed to dozens of mentions of Prime Day by now. The short-term goal of this marketing onslaught, organic and otherwise, is to grow Prime membership numbers, even at the risk of costing Amazon money on some — or many — of the Prime Day deals. Prime members currently convert their Amazon clicks into purchases at an astounding 74% rate, and CEO Jeff Bezos will certainly try to feed those urges. He’s more focused these days on higher sales and customer loyalty than on profits, as evidenced by the fact that the $99 Prime membership fee doesn’t even recoup an average member’s 2-day shipping fees, let alone the costs of all the other benefits. Paying subscribers are highly motivated to keep using the program. Once they have “skin in the game,” they’ll try to get the biggest possible return on their investment. A well-designed program creates a win-win situation. It consistently rewards members for actions they’re happy to take, which are also actions the sponsor wants them to take. Prime rewards members with free 2-day shipping on all of their Amazon purchases; the more they shop, the more they save on shipping. Members, in turn, reward Amazon with repeat purchases. jet.com, the brainchild of a former Amazon rival and employee, will presumably launch sometime this year and offer an annual fee half that of Prime. Walmart is testing its own paid subscription program, ShippingPass, at the same $50 fee employed by Jet. Investors have shown an increasing interest in subscription businesses, which took in over $350 million in venture capital in 2014. In addition to shifting the media spotlight away from its rivals, Prime Day will help Amazon reduce the potential subscriber pool ahead of Jet and ShippingPass’s official launches. Per one estimate, people who try Prime end up joining the program for a full year 70% of the time, and someone who signs up for Prime has much less incentive to try another program. It’s obviously too soon to know whether Prime Day will result in a slew of new Prime members, eye-popping sales figures, and/or the establishment of a summer “shopping holiday.” Given Amazon’s propensity to keep Prime data to itself, we’ll probably never know the full story about the first two goals. Thanks to Amazon’s gift for self-promotion, though, there’s a good chance that Prime Day will return next year. On the plus side for the rest of the retail industry, they’ll have 366 days to prepare countermeasures.